Today’s workforce is more diverse than ever before, presenting interesting challenges when designing workspaces suitable for a variety of individuals. In the last century, industry and scientific knowledge have come a long way, leading to more progressive and effective practices in the field of commercial office design. As commercial fit-out strategists, we don’t stop at project and build management. We care about delivering a superior final product, incorporating safe and healthy choices with quality materials and an uncompromising approach. First and foremost, we consider the factors that directly impact the health of the workers inside a building. Most regulations are straightforward to comply with; safety codes and standards were already looked after when the building was constructed. But they don’t cover everything, and it’s up to commercial facilities specialists to take care of the rest. For example, research has shown that higher concentrations of CO2 (carbon dioxide) and VOC (volatile organic compounds) can be linked to impaired cognitive performance, which may lead to greater absenteeism and lowered performance from employees. To combat this, we select suitable ventilation systems and low/no-VOC materials, paints and adhesives. Additionally, we fit out every office with indoor plants known for their air filtering qualities. The construction process matters, especially if our clients’ employees continue working throughout the build. Strong relationships with our contractors means we know who we can trust with the safety of our clients’ premises while a re-fit is happening. When you spend eight hours each day in an environment, small discomforts can become big health concerns in just a few weeks. Even a little window glare, for instance, can cause eye strain, headaches, mood deterioration and lowered mental performance after only a couple of hours. In fact, office lighting is a well-known contributor to a myriad of ailments and long-term health problems. Where possible, the commercial spaces we create aim to minimise glare, provide adequate light and shade, and include healthy quantities of natural light to help prevent a light exposure ‘hangover’ when employees head home for the day. We also tackle the ever controversial issue of climate control. Based on the male-dominated workforce of the 1960s, conventional office temperature formulas are no longer relevant for the modern workplace. Today, women make up about half the workforce, allowing us to incorporate more economical and sustainable practices around heating and cooling. With open plan offices currently in fashion, it becomes increasingly important to balance noisy and quiet spaces throughout the entire office. This can involve decisions as big as floor plan layout to shelter meeting rooms and sanctuary spaces from wayward sounds, and duties as small as picking floor and wall coverings to manage the acoustics in a room. A well-designed office can foster a positive work environment, but it’s not the space alone that determines a healthy workplace. Research shows the stress of bad workplace relationships can have negative impacts extending far beyond the office walls, and that positive social support support from colleagues can actually be good for employee health. There’s no doubt about it – people matter most in a healthy work environment. Providing them with places to collaborate and ‘collide’ can offer the mental refreshment and social bonding that their work routines may not. We go a step further than the old water cooler, assigning comfortable congregation zones strategically positioned and connected to encourage relaxed and incidental social interaction. It’s the approach we take to support our clients’ healthier workplace policies, serving their staff and their business well into the future. 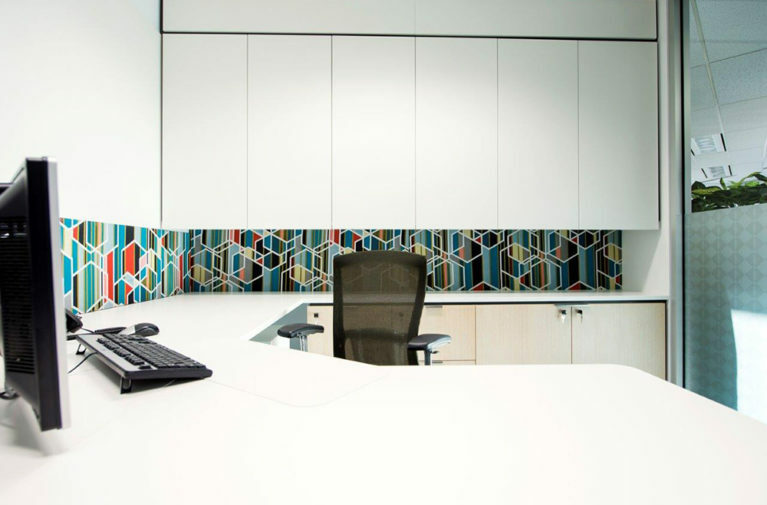 Some of the most common office fit-out mistakes we’ve seen after 15 years in the industry, along with tips on how to avoid them.